DETAILS: Nestled in the quiet neighborhood of Gulf Trace in Grayton Beach, 44 White Sands Unit A is a cozy 4 bedroom, 2.5 bathroom cottage that will allow guests to relax and enjoy the beautiful surroundings. Gulf Trace is surrounded by State Park property on three sides and the Gulf of Mexico to the south, providing a quiet beach getaway you won't want to leave. Unit A is eloquently decorated in neutral tones with hints of blue and turquoise. Enjoy the ease of entertaining your family and friends with the homes open kitchen, dining and living room. When you're ready to hit the beach, hop on one of the 4 bikes provided to splash and enjoy the warm Florida sun! At the end of the day, walk down to the beach to enjoy the beautiful Florida sunset. Check availability and book with 360 Blue today! AMENITIES INCLUDE: 4 adult bikes provided, gas grill and gulf views. This property comes with 2 dedicated parking spots. Complete Clean Linen Participant - ALL linens, including comforters laundered upon every checkout. LOVED our time at Grayt Reflections A!! The house was perfect, the views were amazing and 360 Customer service was the Best!!! Loved the pool and little sitting area...great addition. Went on bike rides every day and the short walk to the beach was awesome. I will stay at this house again!! We are beyond delighted to hear how much you enjoyed this amazing home for your vacation with us! We agree that the addition of the pool makes this property tough to beat, not to mention the gorgeous view! We are so glad that your experience with us was top notch and we look forward to seeing you all again very soon! We had a wonderful time at this home! My girlfriends and myself enjoyed an incredible spring break. The house was very nice and clean and has a very short walk to the beach. We loved the quiet neighborhood! Thanks so much! We are so glad that you and your friends enjoyed your stay with us at this amazing property in Grayton for your Spring Break getaway! Thank you for staying with 360 Blue, we hope to see you again soon! The rental was wonderful, exceeded expectations. Very comfortable for two families. We will definitely consider staying here again. We are so delighted to hear how much you enjoyed your stay with us in Grayton Beach! Thank you for staying with 360 Blue, we hope to see you again soon! We always love coming to this area the beaches, activities, restaurants...are all wonderful. I never write reviews but I hope this reaches the right person. We understand with every rental normal wear and tear are going to be expected. I’d just recommend this property get a good deep clean. We had some roaches and critters, carpets were pretty gross, and just some random things. I pulled out a half broken drinking glass that was spun around. I’m sure it’s just an oversite but maybe a quick run through of the house for repairs and things of that nature. The closet was hanging by a corner in the kids room. We don’t really care but as a landlord, I’d want to know. The service that we booked from was friendly and very helpful. We will be back to area again soon. Thank you so much for your feedback. We are always working to improve our homes and our services. We are working with our housekeeping and maintenance teams to ensure that these issues are addressed. We are thrilled that you enjoyed your stay despite these issues and we look forward to having you back soon! We are thrilled that your enjoyed this beautiful home. We hope to see you back soon! Thank you for choosing 360 Blue. We loved having you with us and look forward to having you back soon! The House was perfect for my family Christmas. The house is decorated and kept very nice and welcoming. The walks to the park, beach, shops, and eatery’s is very close and convenient. We are so happy that the house was perfect for your family Christmas! Sounds like you had a wonderful time. 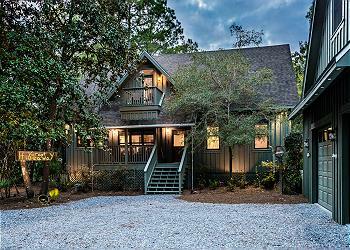 This house is ideal for those who want something close to all of Grayton Beach’s charming restaurants and shops. Thank you so much for your feedback! We look forward to your next stay with us! Our group of 7 girls had a great time at Grayt Reflections. Quiet beach a close proximity to shops and restaurants was perfect. Thank you! We are thrilled that you had such a wonderful stay and this beautiful home. The location is truly second to none. We hope to see you back soon! Wonderful stay at Grayt Reflections! The house was wonderful and the 30A beaches never disappoint. Our group can't wait to come back! What a stunning photo! You truly captured the beauty of our amazing 30A sunrises! We are pleased to hear that you enjoyed the property and your stay with us so much. Thank you for choosing 360 Blue for your beach escape, and taking a moment to provide us with your valuable feedback. We hope to see you all back at the beach again soon! House, view, beach access and location were Awesome. 360 Blue staff very nice and helpful. Would definitely use 360 Blue and 44 white sands again. Thanks!!! This is such a great photo! 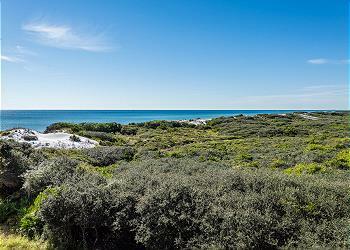 You truly captured the spectacular views of Grayton Beach! We couldn't be happier that you enjoyed your stay with us so much. The easy beach access really is so convenient! Thank you so much for choosing 360 Blue for your family's beach vacation. Be sure to come visit again soon! We had a great week at Grayt Reflections unit A. We had eight people in our group. 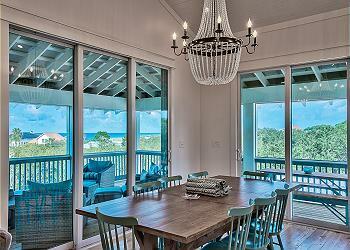 We loved the beautiful beach views from the kitchen and the family room. We also used the four bikes a ton. It is a great location.... easy to bike to Seaside or Santa Rosa. Very easy beach access too!! I will definitely rent from 360 Blue again. We are thrilled you and your family were able to make so many great memories at the beach! Having the bikes with the home really does make it so easy to get around and enjoy 30A! Thank you for choosing 360 Blue and we hope to have you back again soon! Had a wonderful beach vacation at Grayton Beach! Grayt Reflections A was cozy and comfy for our party of 8! Beautiful views and easy beach access!! Kitchen was well equipped for our meals in! Enjoyed a nice evening sitting by fire pit! Would stay here again! What a fun photo! We're so happy to hear that Grayt Reflections was the perfect home away from home for your group and that you could take advantage of the fire pit! Thank you for choosing 360 Blue for your beach escape, and for taking a moment to share your experience with us! We look forward to your next stay with us! We are so thrilled you enjoyed your stay so much! Thank you so much for staying with 360 Blue and we hope to have you back at the beach again soon! What a beautiful family photo. Thank you for staying with 360 Blue and be sure to visit us again soon! So glad to return to Grayt Reflections. We had friends book the B side of the house and was the perfect arrangement. Kids spent lots of time in the hammocks and the adults enjoyed the fire pit. Another fantastic stay in this great beach house! Looks like everyone had an amazing time! This beautiful home is in the perfect location for great views! We hope to see you back for another beach getaway soon! Long overdue get away for our family. So peaceful and relaxing. Super clean and the kitchen was stocked with all the essentials to cook our meals. We can't wait to come back! This is such a stunning photo and truly captures the beauty of the moment! We are thrilled that you enjoyed your stay so much and we thank you for choosing to stay with 360 Blue. We can't wait to have you back again soon! First time using 360 Blue & the service exceeded our expectations. The house was booked with ease, the property was in excellent condition, and any question during our stay was addressed promptly. Would definitely return to a 360 Blue rental. Awe, looks like that adorable little one is enjoying the perfect beach day! We are so happy to hear you enjoyed the home so much! Thank you for staying with 360 Blue and we can't wait to have you back again soon! Great house and great location. Really enjoyed our stay. Everything was smooth and easy just like a vacation should be. We are thrilled that you had such a wonderful stay in this beautiful home! We hope to see you back at the beach soon! 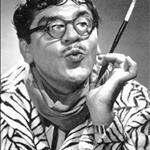 "Grayt" place. Well appointed with beautiful views. Short stroll to georgeous beach. Very comfortable for our entire family. What a great photo! Thank you so much for choosing 360 Blue. We look forward to having you all back soon! Another great week on 30A! First stay in Grayton Beach and we love the Gulf Trace neighborhood. Very quiet and private. Lots of families. Lovely beach with good access. Grayt Reflections Unit A is exactly as advertised. Nicely decorated and all the essentials are provided. Lots of towels and pillows. Bedding is very nice. Beds are comfortable. Bathrooms are modern and lovely. Kitchen has everything you need. Come to relax and enjoy the beach. You won't be disappointed. We had a great stay in this beautiful house. The view from the living room is amazing, the beds are comfortable and it is really easy to walk to the beach. The bicycles were a lot of fun to ride, and the 360 staff were very helpful in helping us get a weehoo for the 3 year old to ride in. Thanks for an amazing week!!! 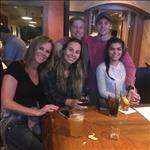 Hi Thurmond Family: We are so glad to hear that you enjoyed your vacation. Thank you for staying with 360 Blue and we hope to see you on your next trip to beach! We had such a wonderful time in a very beautiful home. We loved it so much and plan on returning next year. The weather and beach were perfect as well! 360 Blue has been an excellent service and great staff. The homeowners have something to be proud of here. For those interested in food, I highly recommend the Cuban Grilled Cheese from Meltdown on 30A in Seaside and the Pork Mojo from Chiringos in Grayton!!! Hello Smith Family! We are happy to hear you had a blast on your beach vacation! Thank you for sharing your experience with us. We hope you will stay with us again in the future! Our family loved our week in Gulf Trace. The house was comfortable, we felt right at home. The house is spacious and is in great location with wonderful views. We enjoyed cooking in the kitchen, using the grill and making s'mores with the fire pit. We truly enjoyed having the beach and all the nature the state park provided. You guys made it easy to have a wonderful, relaxing vacation. See you next year. Such a great photo! Gulf trace is a great community and this home is perfect! We are thrilled that you had such a great time and made some memories that will last forever. We look forward to having you back! Fantastic trip with the girls. Was so surprised by the fantastic furnishings, not at all like most rentals. Beds were so comfy! The kitchen is full of anything you might need if you cook in. An abundance of coffee cups and wine glasses. Sitting on the deck with a glass of wine and watching the sun set was breathless. Amazing time had by all!! Will certainly plan another trip to this amazing property. Thank you so much for taking the time to share! We're so happy you enjoyed this home and we can't wait to have you back! Really nice little house. Best views I\'ve ever had on 30A! The beach was incredible - not at all crowded, super close. Took my kayak over to Alligator Lake. Whole family had a blast riding the bikes over to Seaside, Watercolor and the Blue Mountain Creamery. Kids liked hanging out in the hammocks below. 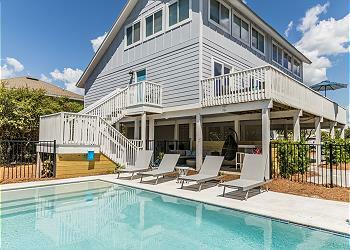 Overall, a great experience and a great price to be in the heart of 30A right on the beach. Thank you so much for staying with 360 Blue! We are so thrilled you and your family had such a wonderful stay! The views are truly breathtaking! Thank you again and we hope to have you back at the beach again soon! This home is just wonderful. My 3rd time to stay here. My family and I have enjoyed staying in both the east and west side. The private beach is such a bonus ! We were provided with so many amenities that our prior rentals did not provide. This home is professionally decorated, excellent Wifi for those of us working and books and games. The last visit we were pleasantly surprised by the built in fire pit. I caught some great pics of the deer munching in the front yard. We visited so many yummy restaurants that we actually rode our bicycles to; Red Bar, The Wine Bar - Watercolors, Fish Out of Water - Watercolors ( a must for breakfast/brunch) , Bud & Alleys in Seaside and the food trucks in Seaside. Especially the Grill Cheese Truck !! There are grocery stores close by. Grayt Reflections has been our home away from home. My family was able to relax, work and create memories that will last a lifetime. 360 Blue was efficient, friendly and professional. Thank you to all. We appreciate you and can not wait to return. We are so happy you had such a wonderful stay! Thank you so much for choosing 360 Blue and be sure to come back and visit again soon! I'm so glad you had an enjoyable family reunion! I hope some great memories were made! We look forward to having you back to visit soon! A very cute cottage in a fabulous location! Darling beach decor! Everything we needed! Great views of ocean and state park. Amazing quiet, private neighborhood and private beach. Loved seeing deer everyday! 360 Blue did great job communicating with us and making sure we were happy! It was our pleasure to serve you! This home is a guest favorite for many reasons, including convenience and location. We look forward to having you as our guests again soon!